New Senior Housing Coming to Gastonia! 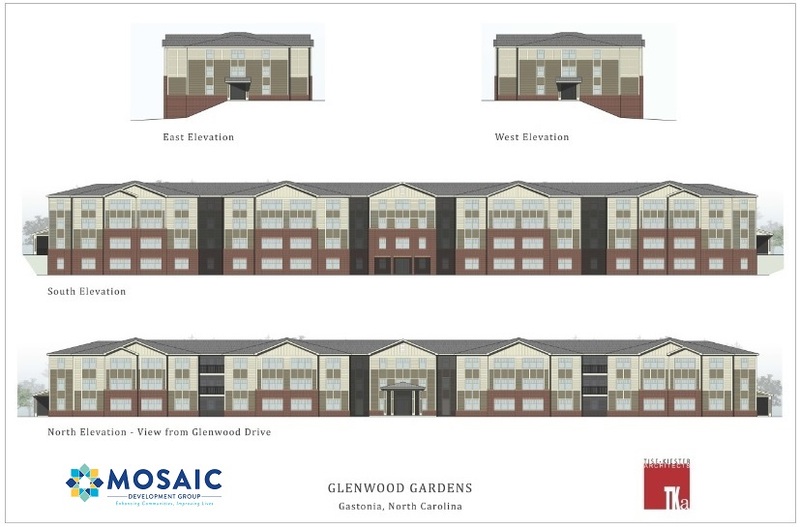 The 60,000-square-foot development known as Glenwood Gardens will be three stories high in the front and four levels high in the back. It will go up at 2151 Glenwood Drive, behind a commercial block that includes Earl Tindol Ford, Gastonia Nissan and Hobby Lobby. The $8.7 million venture will be built on 5.6 acres of land – just west of Dunham Road – that separate Glenwood Road from homes in the Gardner Park community. The 30 one-bedroom and 28 two-bedroom units will be rented to tenants who are 55 and up, and who fall under a defined income or disability threshold. Those restrictions will be required because the project is benefitting from low-income housing tax credits. Construction will begin later this month. Check back often for construction progress updates!